Chained Concepts Bicycle Shop provides a full range of bicycle sales and technical services to families and bicycle enthusiasts in areas surrounding its retail store in Crestview. Owner Miguel Davila, a military veteran, holds several industry certifications and brings years of experience to the cycling community. 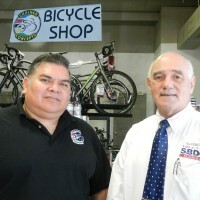 After retiring from the military, Davila sought to pursue his interest in the cycling industry full-time by opening a new business in Crestview. Davila conceived of a business that would fill a needed void in the market for custom-fit bicycles and certified maintenance. Regardless of whether a bicycle is used for recreation, or is a major investment in sport technology, getting a good fit and making fine-tuning adjustments is critical for both performance and enjoyment. Cyclists know that after hours of riding, small variations in dimensions, weight, suspension, or resistance make all the difference. Chained Concepts offers a wide range of service packages, checkups and repairs for nearly all lines of bicycles. Chained Concepts also sells popular lines of new bicycles to include Jamis, noted for touring and mountain bikes, and STLN, offering high quality BMX and street bikes. The store is full of accessories, parts and cycling soft goods that complement the core frames, brake sets and hardware. Even before leaving the military, Davila began the process of starting his new business. He knew this venture would require training and planning to achieve his dream and continue his passion for cycling. Davila found a mentor through American Corporate Partners, a nonprofit organization that helps veterans. Tom Hermanson, a business consultant with the Florida SBDC at the University of West Florida (UWF), worked with Davila to recommend training and gave guidance on how to start a business, business planning, financing and pricing. Davila put a lot of effort into planning and finding the right suppliers. Most suppliers had restrictions conditions requiring large volume or limiting selection. Davila chose a supplier that was willing to work with a small account to start and offer quick response to keep his store filled. Sales started immediately after opening and inventory is already being refilled. The beach cruiser and mid-range road bikes are reported as the most popular models. 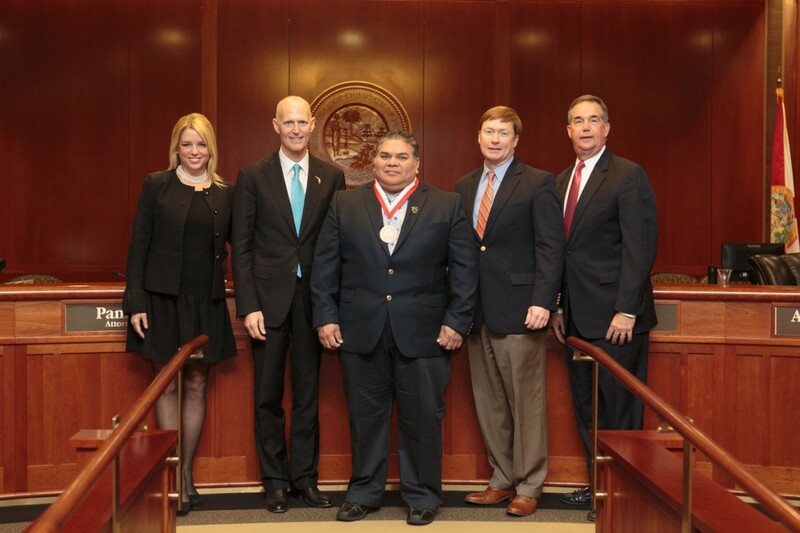 In January 2017, as a testament to Davila’s service to his country and community, Chained Concepts was awarded the Governor’s Business Ambassador Award by Governor Rick Scott. "I really appreciate the training and assistance that I received from the Florida SBDC at UWF," says Davila. “One class on bootstrapping my business particularly stood out. It gave me the confidence to go forward, take the leap and launch my business. The instructor was saying the same things that I was planning. That really helped me to know that I was on the right path."